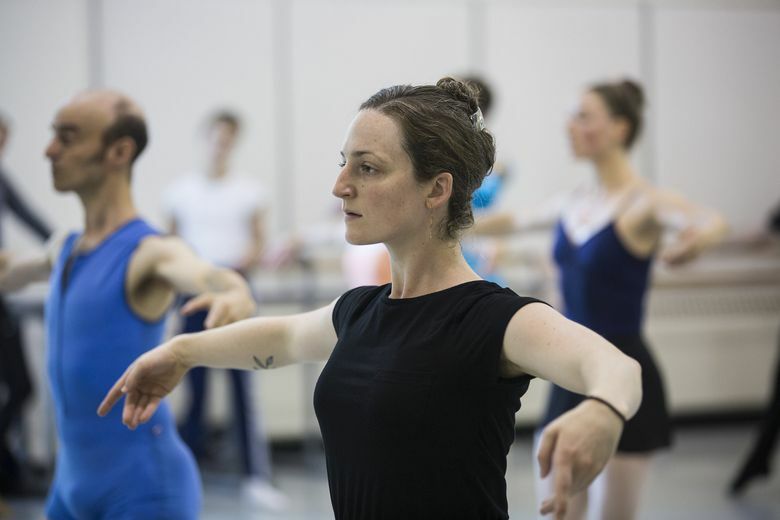 Ready to plunge into the welcoming world of adult ballet but don't know where to start? Chuck your leotard-focused fears and get out there with these beginner-friendly tips. 1. If you’re uncomfortable in a leotard, don’t wear one. In class, I’ve seen everything from sweats and tank tops to yoga clothes and running tights. My go-to is a black leotard under black leggings, a look that makes me feel like an elegant crow and makes it easy to check my alignment. Leggings are also more forgiving — and feel less juvenile — than pink tights. And if you want to embrace your inner bunhead? Do it! You can find affordable tights, leotards and wrap skirts in straight and plus sizes online from Discount Dance Supply. I recommend ordering dance clothes a size up from what you’d normally wear, and making sure you can move comfortably in them — a leotard should feel like a comfortable swimsuit. If it’s pinchy somewhere, or if wearing it makes you feel anything less than great and confident, exchange it. Ballet is hard. What you wear shouldn’t make it harder. Some shoes come with their elastics presewn, but for others, you’ll have to do it yourself. There are YouTube tutorials for this, and ballet-store employees can also give you instructions. Speaking of which: Do not buy your first pair of ballet shoes online. Go to a dance-supply store, like the University District’s Center Stage Capezio (5261 University Way N.E., Seattle), to get properly fitted. (Male students should also take this in-person opportunity to buy a dance belt, which studios usually require.) And remember: When it comes to ballet slippers, if it hurts in the store, it’ll hurt in class, so, as with your leotard, don’t be afraid to size up. 3. Be on time for your first class. And by on time, I mean early. Not only is rushing into class late poor ballet etiquette, it will limit your choice of spots at the barre — the handrail-type object where all ballet classes begin. Beginners should scout out a place in the middle of the barre (save yours with your water bottle). More advanced students usually take the spots on the ends, and in your first class, you’ll want to be able to see what they’re doing in case you get lost or zone out. 4. You may feel totally lost at first. That’s OK — and it won’t last forever. Ballet can look beautiful and effortless, but it’s hard, and it can take a long time to feel proficient, especially if you’ve never danced before. So be kind to yourself, don’t rush things, and remember that even the pros don’t nail every combination every time. The great thing about ballet is that it’s foundational, so even if you feel like you’re only mastering tiny, boring things in a fundamentals class, you’re actually building up your technique, which is what will help you do big exciting things as you progress. 5. Find a teacher you can work with at a studio that welcomes adults. In Seattle, you have several options: I take class at American Dance Institute (shout-out to Margaret and Alyssa’s classes), Pacific Northwest Ballet offers adult classes in Seattle and on the Eastside through their open program, and the University District’s Ballet Studio, which is adults-only, also comes highly recommended among Seattle’s adult ballet community. For adult students, it’s important to find an instructor who will teach you proper technique while also fostering a supportive, safe environment. If your teacher wastes class time, plays favorites, doesn’t give out individual corrections, skimps on technique or is straight-up mean, go elsewhere. The great thing about taking ballet as an adult is that everything about it is your decision, so take the time to find the studio and the teacher who will be the best fit for you. And remember: The world of adult beginning ballet is a warmhearted kingdom of late bloomers and kind but strict teachers. We’re glad you’re here.